Local knowledge helps the buying and selling experience. My family and I have lived in the area for over ten years. My experience in retail sales, teaching, and real estate has given me a broad knowledge of the community. Buying and selling your home is very personal. The Loudenslagel family has had the privilege of relocating around the US, and at one point moved six times in seven years. These relocation experiences, both good and bad, have increased my empathy with buyers and sellers.I am dedicated to providing quality customer service and professional expertise. Prior to starting with Coldwell Banker, I sold real estate with another local agency and in Chicago, IL. 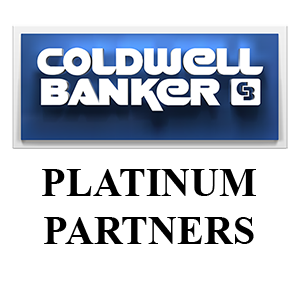 Coldwell Banker provides me with a strong business culture, a supportive team, and great marketing tools. Finding the perfect home can be both exciting and stressful. Sandra Loudenslagel worked patiently with me for almost a year. She kept me up to date on listings and was always available (or made arrangements) to show me properties. I am very happy with the outcome and could not have done it without Sandra. She guided me through the entire process giving me peace of mind. The bottom line is that Sandra worked extremely hard for me! Within a month or 6 weeks of engaging Sandra's services, we had a ready, willing, and able buyer. Sandra was available at a moment's notice to assist in the marketing and sale. She made many suggestions that aided in the sale of our property. Highly professional real estate agent!